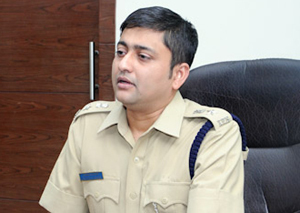 Udupi, June 22, 2016:In the wake of the shocking accident of a school van meeting with an accident at Trasi near Kundapura, killing eight children, SP Bhushan G Borase said that the police will convene a meeting of all school managements and vehicle drivers in the district on June 26. The meeting will be convened to discuss the government guidelines for vehicles transporting schoolchildren. "We see the need to ensure that all safety measures prescribed by the government and courts are strictly adhered to. The school buses, as per the notification issued by the government, should have a distinct highway yellow colour with a horizontal strip in green colour in the middle all around the vehicle and the words ’School Bus’ prominently displayed on all four sides," explained the DK SP. He said that District Control Room number - 9480805300 - has been activated with WhatsApp. "The public can send emergency messages to the number in case of accidents and other crimes. The WhatsApp number is monitored throughout the day," he added. This is like after the accident all are awake about what has to be done in future. The School has well as the parents have to be Are responsible . They compromise with the cost and in some cases risk children life. But the the lives lost cannot be got back. The drivers appointed for school trips have to be very cautious. because they are with the very big responsibility . that is the young ones . The parents hand over them to reach them safely to school. In our country every measures to come into force needs a tragedy. Very sad about the family as most the deceased are little ones.